When approaching this topic some key G325 Section B fundamentals need to be observed and factored into the teaching of this Contemporary Media Issue – two media forms must be referenced in equal measure by the student, see MediaEdu Exemplar Response that uses the Music Industry and Magazines as examples of two media (OCR A Level Media Studies Overview: scroll down – A2 Mock and Sample Responses sub heading). 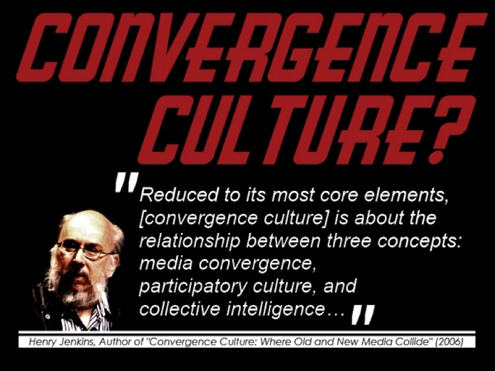 There must be a past, present and future element to the analysis, two main case studies ideally need to be explored for each media form while others need to be referenced to provide balance and objectivity. 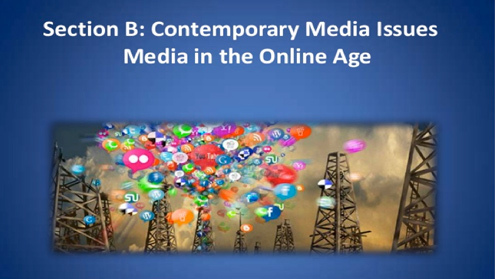 First however, teach the context of Media in the Online Age and then choose the two media and case studies you will be focusing on in class. This resource is meant as a topic guide only – see above link for an exemplar response using two media. OCR suggest that there needs to be a minimum of 4/5 theoretical references (which means students need to push this to 6/7 if possible) but recognising the need that students would not be expected to remember quotations in an exam based situation but would certainly understand what a theorist like Henry Jenkins for example has to say about internet communication and social skills (the work of relevant theorists will be explored later in this resource).